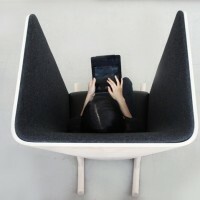 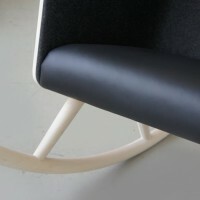 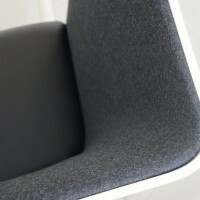 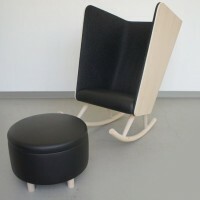 Kyle Fleet, a student at the Cranbrook Academy of Art, designed the Private Rocker. 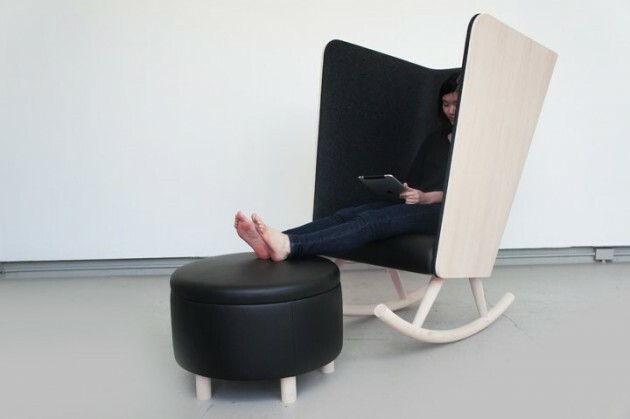 A rocking chair made of warm materials – wood, leather, wool fabric – affords visual and acoustic privacy for a variety of restful postures. 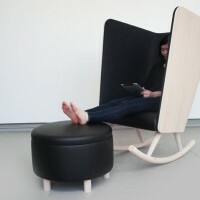 An ottoman supports easy reclining.